This Kurt Adler 10-inch Silver Star Tree Topper is a beautiful, classic way to add to the decor of your Christmas tree. 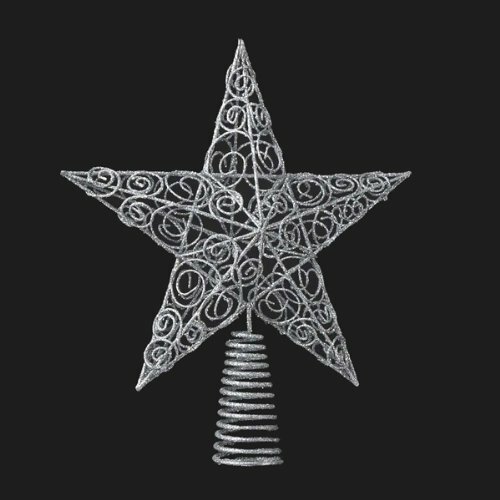 with a traditional 5-point star style, this Tree Topper is silver in color, and is embellished with glitter and intricate swirled designs throughout. The base is a silver glittered coil.